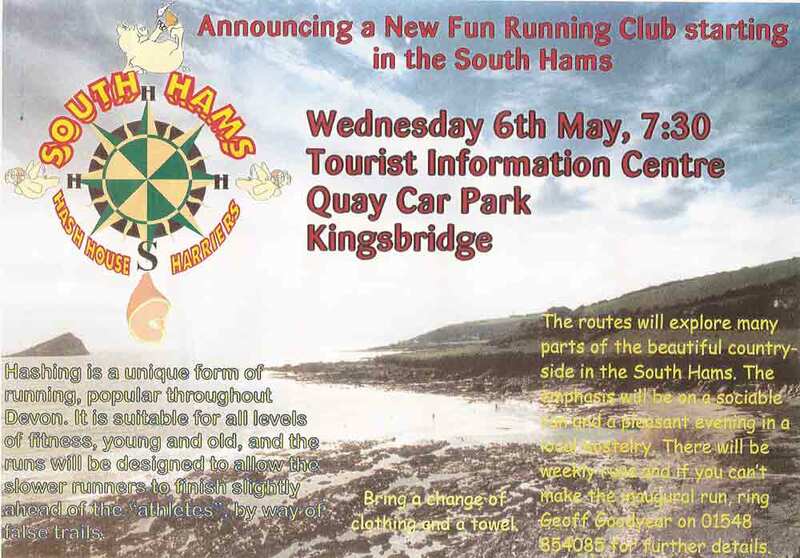 The first SH4 Hash was held on May the 6th 1998 at 7:30pm outside Kingsbridge’s Tourist Information Centre. It was organised by Jeremy ‘Ollie’ Lowe, Tyred Bunny (AKA Geoff Goodyear) and 2 others [Names Needed]. Unfortunately, there’s no recorded Words for SH4’s inaugural Hash, but from Hash 2 the following week, there’s a pretty much complete record. These are still yet to be scanned in but in the fullness of time, they’ll be added to the archive.